349. Another form of parallel ruler. 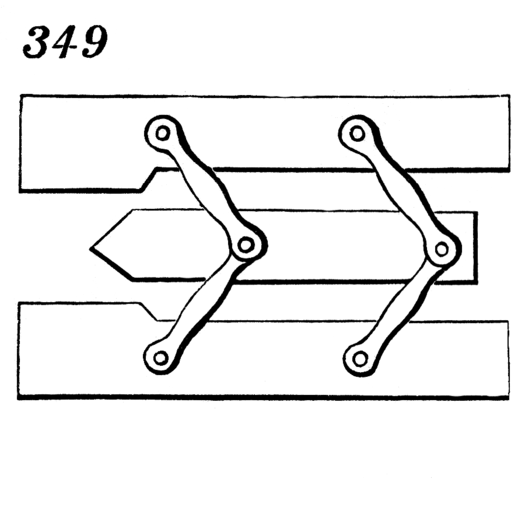 The arms are jointed in the middle and connected with an intermediate bar, by which means the ends of the ruler, as well as the sides, are kept parallel.